1657: born in Nagoya. He started his career in Ise, performing in local theaters under the name of Shinozuka Jirozaemon. 1691: he settled in Ôsaka and became katakiyaku. 3rd lunar month of 1699: Jirozaemon's rank in the Ôsaka hyôbanki, katakiyaku section, was jô (superior). 1st lunar month of 1704: Jirozaemon played the role of Hamamatsu Kenkô in the new year drama "Koi no Minamoto Yumi Hajime", which was produced in Ôsaka by Iwai Hanshirô II. 2nd lunar month of 1704: Jirozaemon's rank in the Ôsaka hyôbanki, katakiyaku section, was jô-jô (superior - superior). 1705: short stay in Edo. Fall 1706: Jirozaemon went back to Ôsaka, in the company of his nephew Bandô Kikumatsu I and his son Shinozuka Shômatsu I. 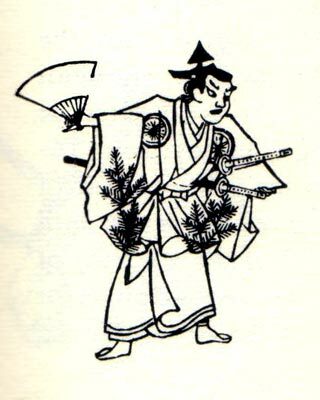 11th lunar month of 1706: Jirozaemon became zamoto and produced in Ôsaka the kaomise drama "Kantô Koroku"; his stage partners were Otowa Jirosaburô I, Hyakunin'isshu Genzaburô, Bandô Kikumatsu I, Hanai Azuma and Onogawa Orie. 3rd lunar month of 1707: Jirozaemon's rank in the Ôsaka hyôbanki, katakiyaku section, was jô-jô-kichi (superior - superior - excellent). 4th day of the 10th lunar month of 1707: a powerful earthquake destroyed Ôsaka, damaging the theater mamanged by Jirozaemon. 11th lunar month of 1707: Jirozaemon's theater was rebuilt and he produced the kaomise drama "Hyakuma Yamanba", which celebrated the shûmei of Bandô Hikosaburô I. 1st lunar month of 1708: his son Shinozuka Shômatsu I replaced him as zamoto to produce the new year drama "Keisei Warai Otoko"; Jirozaemon played the role of Magokaba Fukuemon. 11th lunar month of 1709: Jirozaemon became tachiyaku and played the role of the karô Senzaemon in the kaomise drama "Onna Gosho Bunko", which was produced in Ôsaka by his son Shinozuka Shômatsu I. 3rd lunar month of 1710: Jirozaemon's rank in the Ôsaka hyôbanki, tachiyaku section, was jô-jô-(shiro)kichi (superior - superior - (white) excellent). 11th lunar month of 1711: Jirozaemon played the role of the karô Senzaemon in the kaomise drama "Maizuru Yomeiri Kagami", which was produced in Ôsaka by his son Shinozuka Shômatsu I. 3rd lunar month of 1712: Jirozaemon's rank in the Ôsaka hyôbanki, tachiyaku section, was jô-jô-kichi (superior - superior - excellent). Fall or winter 1713: Jirozaemon went to Kyôto. 1st lunar month of 1714: Jirozaemon achieved a great success by playing the role of Higuki Rokurô Saemon in the kaomise drama "Toshitokujin Midoribune", which was produced in Kyôto at Ebisuya Hatsudayû's theater by Mitsuyama Shichisaburô. Jirozaemon's rank in the Kyôto hyôbanki, tachiyaku section, was jô-jô-kichi (superior - superior - excellent). 11th lunar month of 1714: Jirozaemon played the role of Andô Nyûdô in the kaomise drama "Azuma-zukuri Ôdaidokoro", which was produced at Kameya Kumenojô's theater by Sakakiyama Shirotarô I. 11th lunar month of 1716: Jirozaemon played in Kyôto at Hoteiya Umenojô's theater the roles of the otokodate Dairoku and Dairoku's mother Masago in the kaomise drama "Daikoku Tenjin Fukuju Musume", which was produced by Yamatoya Jinbê III. Fall 1717: Jirozaemon went back to Ôsaka after 4 seasons spent in Kyôto. 11th lunar month of 1717: Jirozaemon, who was ill, appeared on stage for the last time, playing in Ôsaka the role of Karatsuma Tadaemon in the kaomise drama "Benten Chôja Uga no Tama", which was produced at the Kado no Shibai by Ogino Kinnojô. 23rd day of the 1st lunar month of 1718 : Jirozaemon died in Ôsaka. Shinozuka Jirozaemon I, the founder of the Shinozuka clan, was a talented actor, who performed as a katakiyaku or a jitsuaku and changed to tachiyaku at the beginning of his fifties. As a tachiyaku, he excelled as a jitsugotoshi or in budôgoto roles.